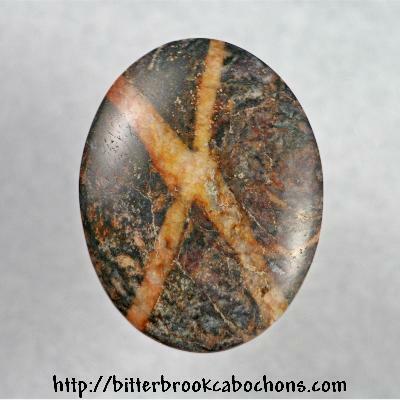 I love this cabochon! I may change my mind about selling it only because as everyone knows, "X marks the spot!" 40mm x 31mm x 5mm. Weight: 45.85 carats.